A family judge as issued an unprecedented appeal for information on the whereabouts of a missing teenager from Northampton and his mum. Mr Justice Keehan this morning used his powers as a Family Division judge to make an appeal to find 14-year-old Moses John - who went missing with his mum, Pauline Watson, a year ago after being made the subject of care proceeding - and allow details of his life to be made public. 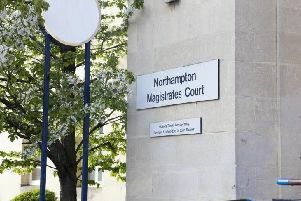 Media were allowed to sit in while Richard Jones, for Northamptonshire County Council, gave outline details of the case, including that Mrs Watson had told Moses that he was the reason she had miscarried another baby and that she “hated him”. Mr Justice Keehan said most children would find it distressing and intrusive if details of their lives, and of the significant harm that many of them are found to have suffered, were to be made public. But he said there were some cases where the widest possible publicity is in the best interests of a child. In Moses’s case, he said, publishing details meant maximising the prospects of discovering his whereabouts. He said: “I’m gravely concerned for his welfare so long as his whereabouts, presumably in the care of his mother, remain unknown. The police and Northamptonshire Children’s Services have been trying to trace the pair for just over a year. No professional has seen either Mrs Watson, who has mental health problems, or Moses since May 12, 2015. Care proceedings were initiated by Northamptonshire County Council on November 7 2014 and Moses is currently the subject of an interim care order. Mr Jones said the authorities are convinced he is staying with his mother at a “secret address” in an attempt to avoid proceedings. Part of the reason for them going missing, he said, may also be due to Mrs Watson’s immigration status as she is Jamaican and her right to remain in the UK expired on September 9, 2015. The concerns for Moses are manifold, the court heard. He is dyslexic and social workers say he has significant educational needs, but he has not been to school since being excluded on March 31, 2014. As an added concern, the court heard that there had been instances of Mrs Watson informing Moses that he was ‘a disappointment to her’. Mr Jones said: “She also said that she did not want him and she would call social services to get rid of him and also, my lord, that she hates him. Moses was previously living in Northampton but may now be in south London. This morning outside The Royal Courts of Justice in London, Det Sgt Nickie Deeks, of Northamptonshire Police’s missing persons unit, reissued the appeal for anyone who spots Moses - who may be using a false name - to contact them to protect his welfare. Det Sgt Deeks said it was unusual for someone of Moses’s age to be missing for so long. She said: “They appear to have gone completely underground. “The family is not giving us anything. Anyone who spots Moses John or Pauline Watson, or has any information on their whereabouts, is asked to call police on 101.